Like us, plants need water to live so when water restrictions are imposed, then all gardeners are worried for their plants. This situation is made even worse when you know that you are going to open your garden to the public. 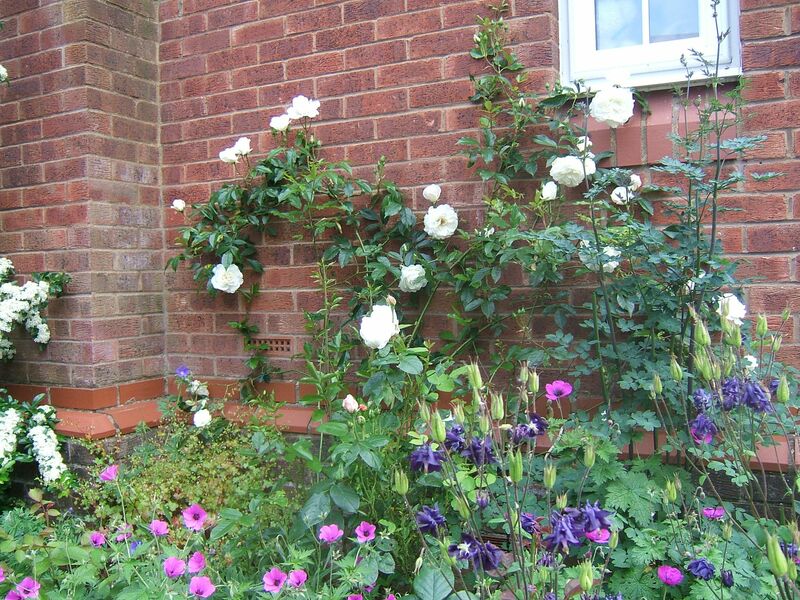 Whilst people will understand that the restrictions have been imposed, they will still want to see a pristine garden with beautiful plants when they have handed over their hard cash – be it for charity or not. Luckily Hampshire escaped the ban on hosepipes introduced on 1 April 2012 in much of Southern England. But, given the lack of rain this winter alone, it cannot be long before one is imposed here too. Many of us find it hard to remember what exactly the weather was like last week, but I have two ways of gauging how much rain there has been this year. Firstly, the stats for my new solar panels show how sunny it has been and secondly I am very aware that we have rarely had to put our new puppy, Anya, outside in the rain. I have no grass – It is hard to justify watering established grass. It will bounce back when we eventually get some rain. Still, yellowing grass does not set a garden off well. With a bit of luck, my shrubs with their deep roots will survive the lack of rain and continue to provide a green backdrop to my garden. I garden on a clay soil – Over the years, a great deal of compost and grit has been added to improve the soil structure. Clay tends to hold onto water and the improvements mean that it is still workable even in periods of less rain. My garden is (relatively) small – Whilst my garden is very well stocked, I have less plants that someone with sprawling acres and I also have shorter distances to carry my watering can. Just because you cannot use a hose in the garden, it does not mean that you cannot use water. Watering cans are perfectly acceptable for keeping plants watered. The key thing is to concentrate on young plants and those that are showing obvious signs of distress. 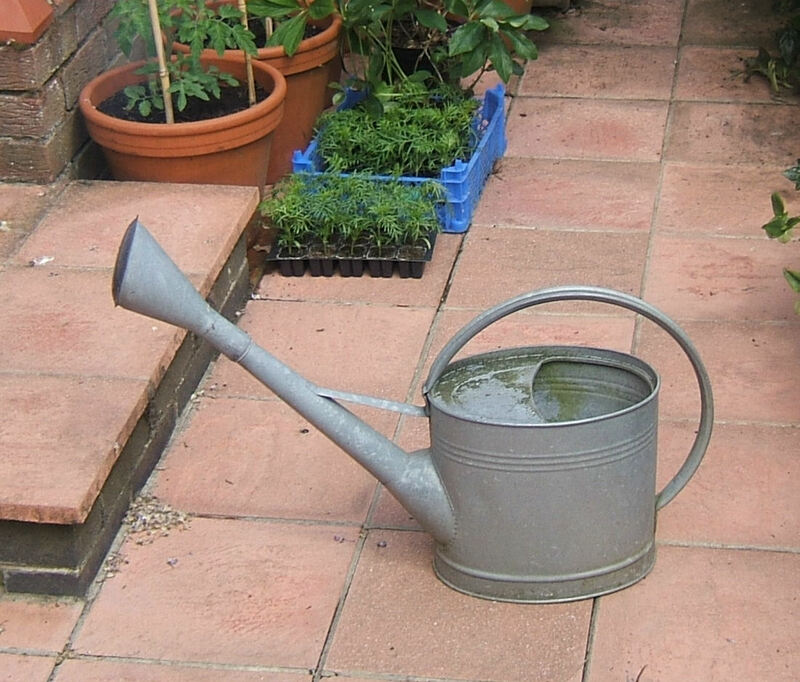 Please remember, full watering cans are very heavy, so look after your back and don’t fill it to the top. A few more journeys around the garden are worth it to avoid back pain. Whilst the hosepipe ban is very restrictive, there are a few legitimate reasons for using a hosepipe. One of these is that you can (and in fact the Southern Water website says “should”) keep your pond topped up to a minimum level to safeguard the fish. 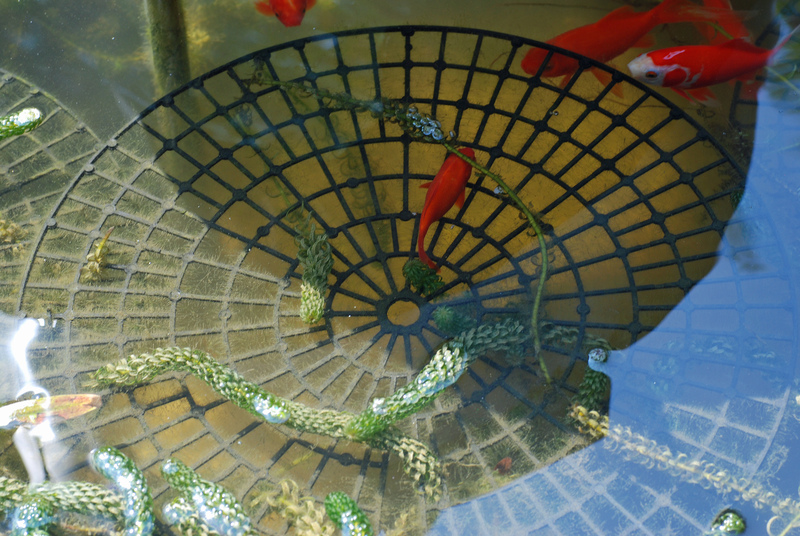 Believe it or not, I have already heard of people acquiring fish just so that they can keep their pond filled up. Another allowable usage of a hosepipe is that cleaning of paths and patios for health or safety reasons, so I will be able to pressure wash my paths so that my NGS visitors will be able to wander around the garden with confidence. Wouldn’t it be ideal if we could have rain regularly at night and then nice sunny days, that way every one would be happy. We will just have to see what the vaguries of the British weather has to throw at us – what ever it is, we will have to work with it!